Enjoy an abundance of sports activities at Caravia Beach Hotel & Bungalows. Catch the action and the choppy waves! For water babes, a variety of Water sports are on hand to show your skills! 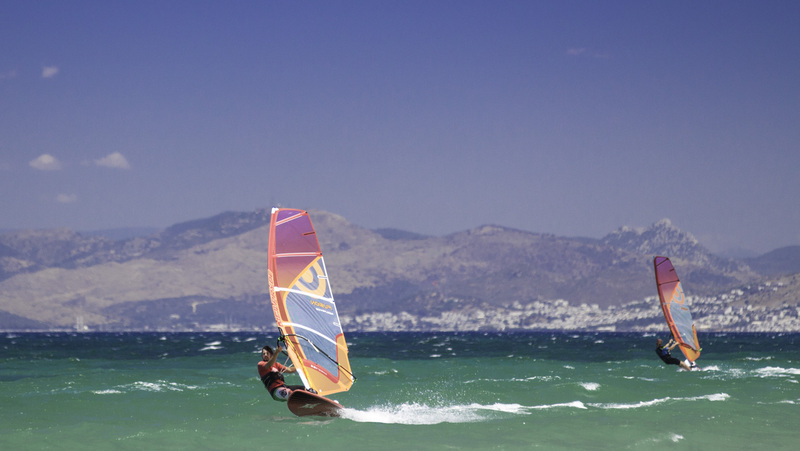 Windsurfing , Kite Surfing and many more, all handled by individual operators at an additional charge. 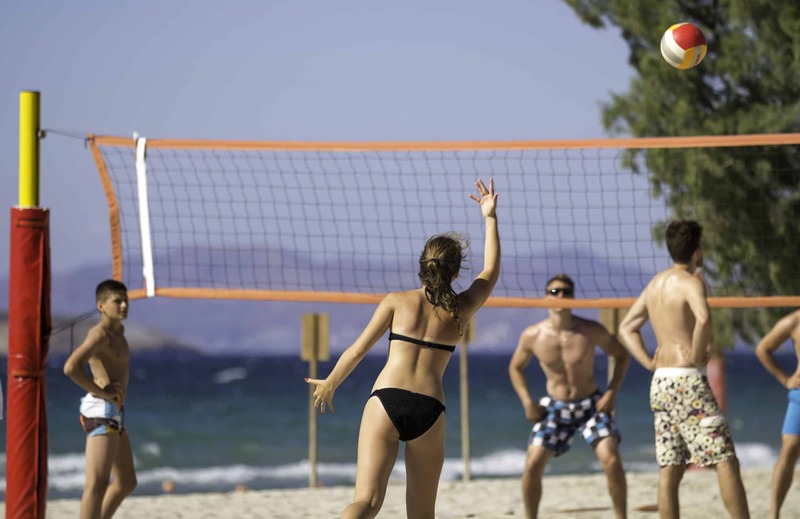 For sports enthusiasts, the Hotel offers volleyball, basketball, darts as well as water polo and beach volley. If you are an avid tennis fan or you just feel like a knockabout, the Resort offers a floodlit Tennis Court, while hiring of tennis equipment is also available. Massages are also provided in a secluded spot in our immaculate gardens. Mini Golf is also offered as yet another fun -filled activity. 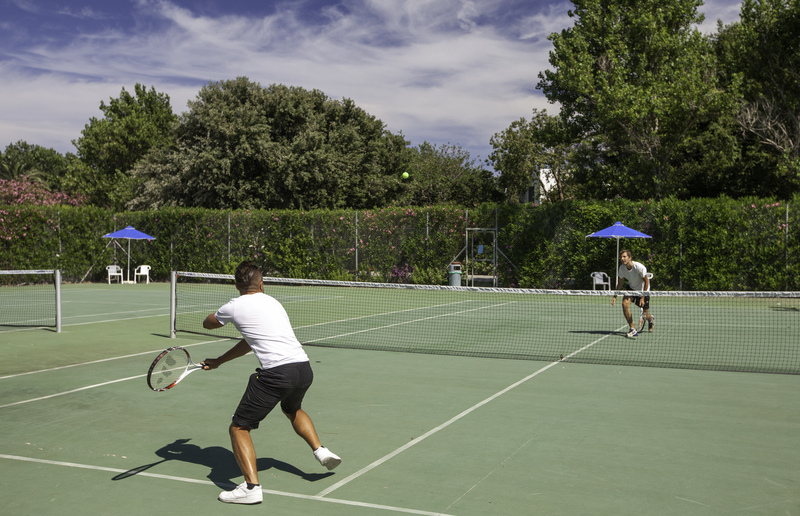 For those who love tennis, the Resort offers 1 floodlit Tennis Court, while hiring of tennis equipment is also available. Kos, “the cycling island”, has a long held history in famous bicycle races even from the years of the Italian occupation and today it has the most extensive cycling path network in the country (15km). So give it a try, even if your not much of fan; it will be a memorable experience! Another fun filled activity for all ages is Mini Golf! Enjoy fun times with family and friends. At the beach, the Water Sports such as windsurfing , kite surfing and many more, all handled by Individual Operators at an additional charge.